No business can survive in this crowded market if they do not showcase or present items in a unique way, especially with regards to cosmetic items. 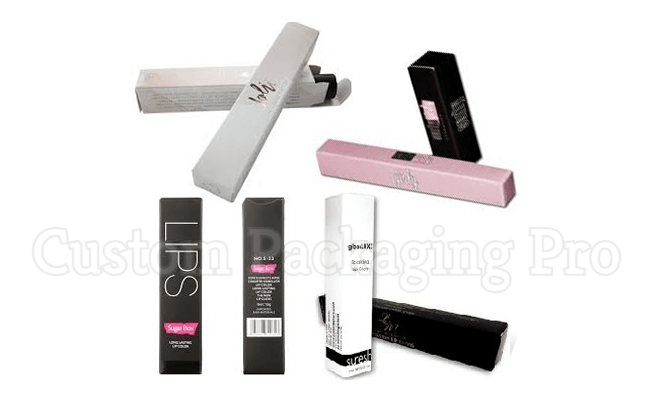 Each cosmetic item has different requirements regarding packaging. Many brands make a sound investment in the making of the product but overlook the importance of an excellent packaging. A simple design packaging can help you to demonstrate the product's image that you want to portray. You will get your investment back to its fullest if your product is not appealing at all. To make your product more attractive and eye-catching custom packaging is a perfect choice. Small cosmetic items or products that are common in use needs more attention regarding packaging. People usually don't think much when buying everyday products. One of these items is lip balms. They are a necessary element of our daily life routine. But usually, customers pick this product without spending the time to take a look at its benefits or details. So, it is tough for brands to make their product more visible and identifiable among several other brands. A unique packaging of lip balms can give your product or name more exposure and unique identity. How to customize lip balm box? A product as common as lip balm demands eye-catching packaging. 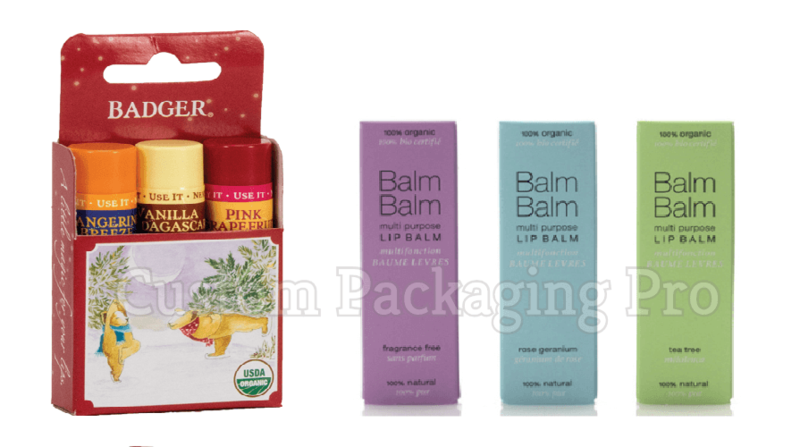 Custom boxes can be an option for packaging of lip balms. These boxes not only give the required visual appeal to your product but also provide security and protection. Personalize these boxes to your needs and wants to ensure that they attract customer on the retailer's shelf. Custom lip balm box will influence the customers to have a look at your product, or most probably they will buy it. It will help in increasing sales and promote your brand in an ideal way. A good design custom box can give life to brand image and can make your product recognizable. To be successful in cosmetic business unique packaging is necessary to showcase any product. While designing a packaging, it is then necessary to think about all the possible graphics and structural features to develop for any related product. Have a look at some tips that can help you out. Colors are an important part of advertising and promoting the brand. A product packaging colors are as important as brand colors. Colors are what you need to reach new and broader audience. It will make your lip product to stand out from the crowd of similar products. Choose colors that tell what your product is and what customers can expect. So, choose colors relevant to brand or lip balm. When your name is not in the box customers can still recognize your brand with printed logo. So, it will be foolish to think not to print logo on such small boxes. A logo reveals your identity and customers will remember you through it. Imprinted logo on custom lip balm boxes can communicate with new customers. It can tell the people who you are, what product you sell or what are your services. When customers pick up the product, they look for further information on it. Bad typography, improper font size, and less spacing or too much-congested words can create a wrong impression of your brand. Add only necessary or relevant information on custom boxes. Don't flood it with words. Give the customers the text layout that will be easy to read and understand. Keep it clean, simple, and readable. Follow the basic principles to make an innovative design for Custom Lip Balm Box. Design should not make product functional but also useful. It should make the product talk and make it understandable. Simple but better is the key to innovative design. It is better to take the help of a professional. New technology will help you to bring some innovation and to satisfy the criteria of perfect design. It is essential to know where your product stands from a brand point of view. To create a lasting impression of your brand, there are some questions to ask. What are you selling?? Who are your perfect customers?? How people will buy your product?? These all answers will have trickling effects on all aspects of packaging and marketing. Think about the targeted audience according to your lip balm products. Also, consider whether people will buy it from retailer or online. Consider yourself in customer's shoes and think will you take notice of a small product like lip balm boxes instantly?? Surely not! A shelf impact is the uniqueness and appeal of the product when placed on retailer's shelf. It plays an important role to boost product's sales. You can achieve this by making custom lip balm boxes distinctive. Use your brand colors and unique patterns to make it identifiable. The more unique a product looks, the more it sells. Much of your business success depends on product packaging. So, get custom lip balm box from Custom Packaging pro to stand out from the crowd.